One reason given reasons for Thursday being polling day is that if the Government changes, this can occur over the weekend and won’t affect the markets. Voting on a Thursday is a bit of a hassle and with non-compulsory voting in the UK that could cause problems. We vote on Saturdays. A day that was made for voting. You can have a lazy morning if you like and then later head down to a polling station. You can grab a snag from the charity BBQ and take your time. It’s a day to celebrate and reflect upon our democracy. This week we’ll take a look at some of the other differences between voting in the UK and Australia. You’ll notice a phrase that is very common in our Constitution ‘until the Parliament otherwise provides’. In this case it means that at the first election at the end of March in 1901, the qualifications of voters was based upon the enfranchisement in the State. If you were enrolled and entitled to vote in one of the States, then you could vote in the election in 1901. Once the new Federal Parliament met an Electoral Act was legislated and women were enfranchised throughout Australia. And not just to vote, but to be elected themselves. In the UK, the Parliament (Qualification of Women) Act was enacted a few months after some women were given the right to vote in 1918 and gave women the right to stand for election. The first woman, Constance Markievicz, was elected (from a prison cell) in the 1918 election. It wouldn’t be until 1943 that women were elected to the Australian Parliament. One in the Senate (Dorothy Tangney) in that election and one in the House (Enid Lyons). Early on, enrolment and voting in Australian Federal elections was voluntary. In 1911 enrolment became compulsory and in 1924 voting became compulsory in the Federal Parliament. It became compulsory for Indigenous people to enrol and vote in 1984. There are some people that are still disenfranchised in Australia. If you are serving a full-time prison sentence of more than three years you cannot vote in Federal elections. Along with anyone who has been convicted of treason or treachery and has not been pardoned. Also, anyone being of unsound mind and incapable of understanding the nature and significance of enrolment and voting is not eligible to enrol or vote. In the UK members of the House of Lords cannot vote, as well as convicted persons detained in pursuance of their sentences (excluding contempt of court). Anyone found guilty within the previous five years of corrupt or illegal practices in connection with an election also cannot vote. In Australia, there are a few things set out in the Constitution about voting and then we have an Electoral Act 1918 that contains most of the rest of the process. The UK is quite different. Because they don’t have a Constitution, the things that are set in stone in our Constitution are not so set in the UK. Plus they have a whole heap of different legislation containing different parts of the rules for elections. One of these rules was altered in 2011. The House of Commons changed to five-year fixed terms simply through legislation. Meanwhile in Australia the flexible three-year term for the House of Representatives and the fixed six-year term for the Senate are set in the Constitution. In order for this to change the people need to agree through a referendum. To have the basics set in stone gives our system of government stability. Prime Minister Theresa May has promised to repeal the legislation providing for five-year fixed terms which has only been in force for a few years, if she wins the election. That terms of Parliament in the UK can be so easily altered might surprise Australians. Could the House of Commons enact legislation to give themselves a ten year term after the election? Australian governments have attempted to change terms of our Parliament many times (mostly the Senate). All of these referendums have failed. Do you think terms should be able to be changed more easily? Like in the UK? In the UK voting is not compulsory. At the last election in 2015 only 66.1% of registered voters in the UK turned-out. In the 2001 election only 59.4% of people showed up over there. 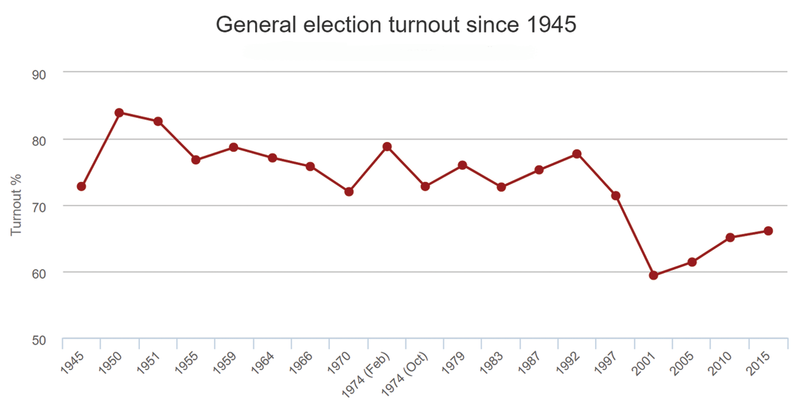 The turnout rates are even worse for young people in the UK. In 2015 only 43% of 18-24 year old that were enrolled to vote showed up and made their voice heard on Election Day. While the over 65 year olds had a turnout rate of 78%. This type of turnout can skew the results of an election as older people are likely to vote differently to younger people. 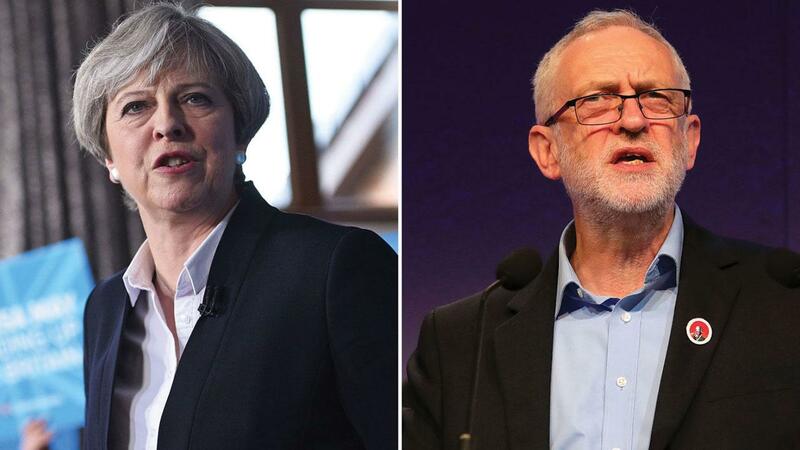 Many commentators are saying that that the turnout of the young people could decide whether Theresa May or Jeremy Corbyn will be the next Prime Minister of the UK. In the 1922 Federal election in Australia only 59% of people turned up to vote and so legislation was introduced in that Parliament to make voting compulsory. At our last election in 2016, 95% of eligible Australians were enrolled to vote (this was up from 92% in 2013). However on the day of the election about 9% of them didn’t show up. This is a low turnout for Australia. The normal rate is 94-96%. The legitimacy of a government formed by a voluntary turnout could….be questioned. In the UK in May 2005, Labour won 55% of the seats with 35% of the vote after a turnout of 61.4% (in other words, 21% of the total possible electorate delivered 55% of the seats in the House of Commons). Another big difference between the UK and Australia is the voting system used. They have what is called a first past the post system and we have preferential voting. In the UK you don’t number the boxes on the ballot paper, you just write an x in the box next to the single candidate you choose. The candidate with the highest number of votes wins. You might think this seems okay, and that might be the case if there are just two leading candidates. But what about when the vote is split between three or four leading candidates. At the last UK election one candidate gained a set in the House of Commons with a vote of only 24.5%. This means that 75.5% of voters in that seat did not want that candidate to represent them. Our preferential system means that the candidate who is elected has the support of the majority of voters in that electorate, whether they were a first, second or other preference. Although, this voting system can cause upsets if a leading candidate on first preference votes does not gain the seat after all the preferences have been counted. One such electorate where this occurred at the last election is Herbert in Queensland. LNP candidate Ewen Jones had 31,361 first preference votes, while Labor’s Cathy O’Toole had 26,900. After allocating all the preferences Cathy O’Toole won the seat by just 37 votes. They [the terrorists] want to stop us enjoying the freedoms that we have … they want to stop us voting on Thursday in the general election … we can’t allow them to do that. I’m not an advocate of postponing the election, I’m a passionate believer in democracy … One of the things these terrorists hate is democracy. In just a few hours Brits get to participate in something that has been fought hard for over many centuries. Voting is such an essential part of the democratic process. We really wish them well.